Each of our tropical vacation homes are fully furnished and equipped. Great for Family Reunions or 2 Couples Traveling Together! This unique Florida Keys style resort has 20 vacation homes all on the same property. Vacation with friends and family and still have the privacy of your own vacation home. The elevated living spaces are on two floors, both overlooking the lush, Tropically Landscaped Grounds and Tropical Fruits. The ground floor level has your own Washer & Dryer, and storage for Bikes or Dive Tanks. Cocoplum is proud to offer Boat Docks! Pictures do not do justice but I wanted to get something up on the web site. Arial pictures available soon. Our new nine slip dockage is designed for boats up to 40ft. It's located in a deep water canal that has protection against any weather. Water and electric (30mp & 50amps) are available to any slip. Also, canal fishing is accessible on the dock! The entry levels (actually, the second floor)Â¹ contains the kitchen, the Dining Room and a large, screened in Patio, elevated off the ground to catch the tropical breezes. There is a serve-through window from the kitchen to make mealtime a snap. The full kitchen offers you the convenience of your own home... microwave ovens, coffee makers, blenders, toasters and dishwashers. All of the necessary cookware, utensils, linens, and dinnerware are provided. The Upper FloorÂ¹ of each unit contains two bedrooms, the two full bathrooms and the Living Room. The Master Suite contains a queen-bed and private bath. The guest bedrooms contain a Queen Size bed and a Twin Size bed. Every villa has a spiral staircaseÂ¹ connecting the two floors. Sleep up to six with the living room in each of the homes that expand the accommodations with a sleeper sofa. A wet-bar and table for gaming or snacks. Each villa has three cable TV's, one in each bedroom and a cable tv with a VCR or DVD the living rooms. Maximum occupancy is 6 People per Villa. Master has Queen bed, Guestroom has a Queen-Size Bed, and a Twin Bed, & a Queen-Size Sleeper Sofa in the living room. Lounge in a Hammock or sleep under the Tiki Huts, and enjoy the fresh ocean breeze in our Heated Pool overlooking our Natural Sand Beach. 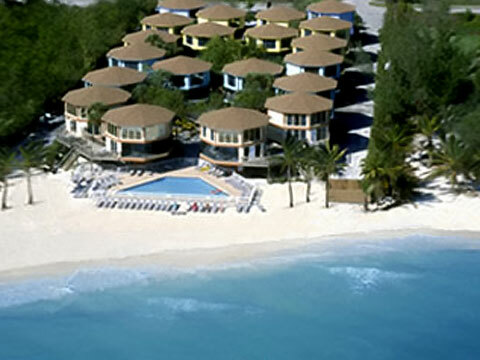 The swimming pool is located directly on the beachfront and overlooks the Atlantic Ocean. Our exciting, Heated Pool, featuring a zero-edge concept with tiled mosaics and a stunning patio-deck made of stone pavers. * See website links below for MORE INFORMATION ABOUT MARATHON. * Complete Website Listings of all Restaurants with Menus and Restaurant web sites.. * Website Listing of Boat rentals or Listing of Marinas nearby. * General Listings of Websites in Marathon - General Info, Transportation , Things to do, Diving, Fishing, Family Reunions, Beach Weddings etc... * Minimum age of 25 to rent. PLEASE NOTE: Â¹ Sorry, No Pets Allowed!. If you or any of your guests have problems climbing Spiral Stairs- We are not for you! Where is Cocoplum Beach & Tennis Club? (109 Cocoplum Drive, Marathon Florida 33050) We are located on the eastern end of Marathon, Oceanside. See Directions with Map & Nautical Chart and of our Island. The Atlantic beaches on our island are among the few in the Florida Keys. Marathon is serviced by a modern airport, its own hospital, several large supermarkets and major pharmacies. There are many excellent restaurants in the area and we'll be happy to point out our OUR FAVORITE WEBSITES in MARATHON. We are in some of the best Diving and Fishing areas in the United States.